I’ve been fickle, I admit it. I had a brief meaningless fling with my new friend, Kindle, but it’s over, trust me. Oh, I keep in touch for old times sake, and I take the old thing away on trips to keep it happy, but actually it only really served to rekindle (!) my love affair with books. I am back to books for good. There is something so beautiful and timeless about books. I just have to see a pile and I swear the endorphins start coursing through my veins at the rate of knots! I even have a collection of pictures of books on shelves and fantasise about having my very own library, with a comfortable velvet armchair, a continual supply of cups of tea on hand, and a crystal decanter of gin for evenings. What bliss. So just imagine how excited I get when I see a whole stack of books written by women. 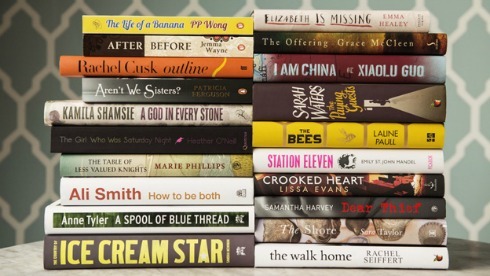 Baileys have released their long list for women’s fiction prize. The judges were Laura Bates, Shami Chakrabarti, Grace Dent, Helen Dunmore and Cathy Newman. Chair of the judges, Shami Chakrabarti, said this year was “particularly strong” for women’s fiction. I’d have loved to have been on that judging panel, although as our home is already bursting at the seams with books perhaps it’s just as well. *The shortlist will be revealed on 13 April, and the winner named on 3 June, 2015. RenewYou is my international one day course for women. Naturally it has a book with it! Find out more by clicking this link.